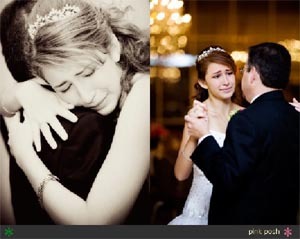 The Father-Daughter Waltz is a special moment during your Quinceanera. It's your first dance with you as a young woman and you'll want it to be elegant yet sentimental. The song you choose for this dance will be forever special to you and should be a reflection of the relationship you have with your Father. We've collected a list of 20 of our favorite songs for your Father-Daughter Valz. We hope you love these songs as much as we do! Happy dancing!